The more you focus on developing trust, the more effective your leadership. Trust drives our faith in societal institutions and financial markets, shapes consumer behavior, and enhances employee engagement. Indeed, trust is a defining characteristic of the highest performing organizations and most effective leaders. High trust characterizes our most transformative relationships. In short, trust matters. On this website, you will find ideas and perspectives, links, tools and resources to enhance the level of trust in your organization and in your own leadership style. Please look through it, come back often for new posts and information, sign up for the Trust Matters Newsletter and start a conversation. Dr. Michael Burchell is an expert on workplace culture and employer branding. 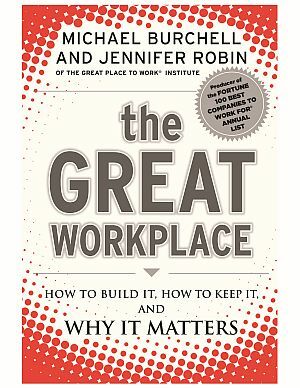 Co-author of The Great Workplace: How to Build It, How to Keep it, and Why It Matters (2011) and No Excuses: How You Can Turn Any Workplace Into a Great One (2013). Michael is a sought-after keynote presenter at conferences in the U.S. and internationally.